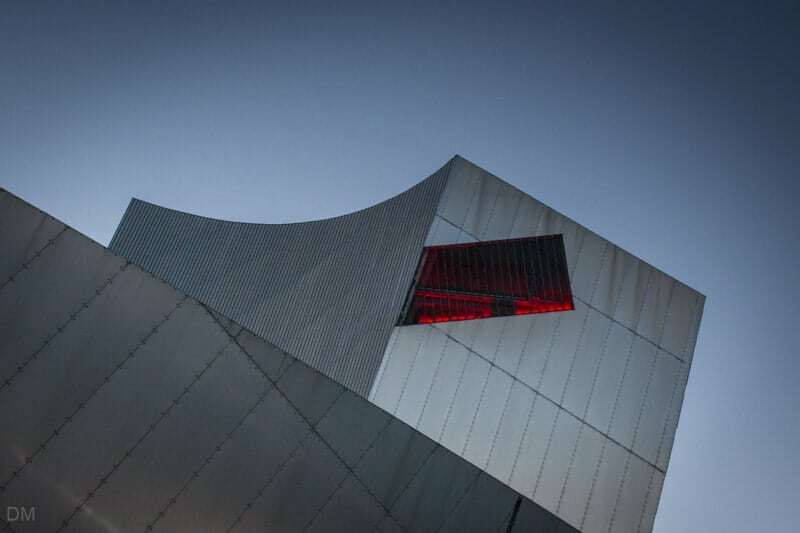 The Imperial War Museum North is one of the most unconventional buildings in the UK. 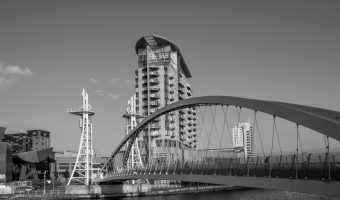 The award-winning building was designed by renowned architect Daniel Libeskind and is located at Salford Quays in Greater Manchester. The building itself exhibits a highly complex geometry. The design represents a globe shattered by war and broken into shards. The Earth Shard is the main gallery of the building, the Water Shard a restaurant, while the Air Shard is a large tower offering good views of MediaCityUK and Salford Quays. Sloping floors and ceilings induce disorientation similar to that experienced in war. 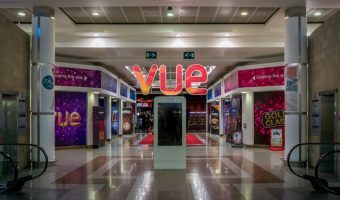 Big Picture Show – Every hour the museum’s lights are dimmed and visitors are treated to an award-winning 360° audio-visual experience. Continually changing images of war are projected onto the gallery walls and floor, accompanied by music, sounds and recordings. Shows vary throughout the day. Large Objects – These include a Harrier jump jet, an East German Trabant car, a T-34 Soviet tank, and wreckage from New York’s World Trade Center. Silos – Six separate exhibition areas exploring different aspects of war including the role of women, the British Empire and Commonwealth, and the contributions of science and technology. The museum’s gift shop sells postcards, souvenirs, books, DVDs, and more. Other facilities here include the WaterShard Café and Kitchen, and public toilets. The Imperial War Museum North is open every day of the week throughout the year (except at Christmas). Opening hours are 10 am to 5 pm (last admission at 4.30 pm). Entry to the museum is free. There’s a small fee to climb the Air Shard. 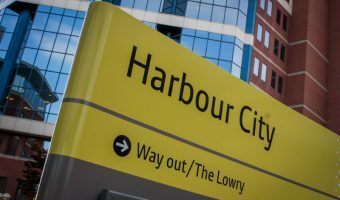 The nearest Metrolink stations are MediaCityUK and Harbour City. Trams run from Manchester city centre. Bus services to the Imperial War Museum North include the X50 and the 50. The X50 bus runs from Piccadilly Gardens Bus Station in Manchester city centre to the Trafford Centre. 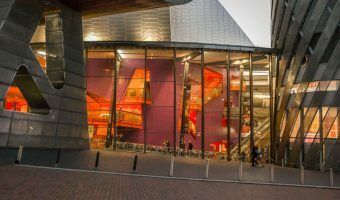 Stops on the way include Deansgate Train Station, Old Trafford, and the Imperial War Museum North. 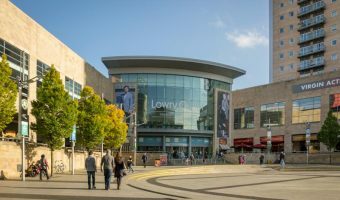 The 50 service runs from the Parrs Wood Entertainment Centre in Didsbury to The Lowry. 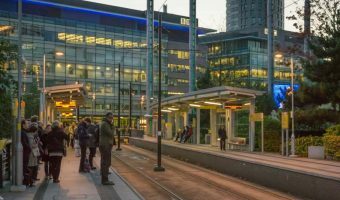 Stops on the way include the University of Manchester, Albert Square in Manchester city centre, Salford Central Train Station, and Salford Crescent Train Station. From The Lowry cross the footbridge to reach the museum. 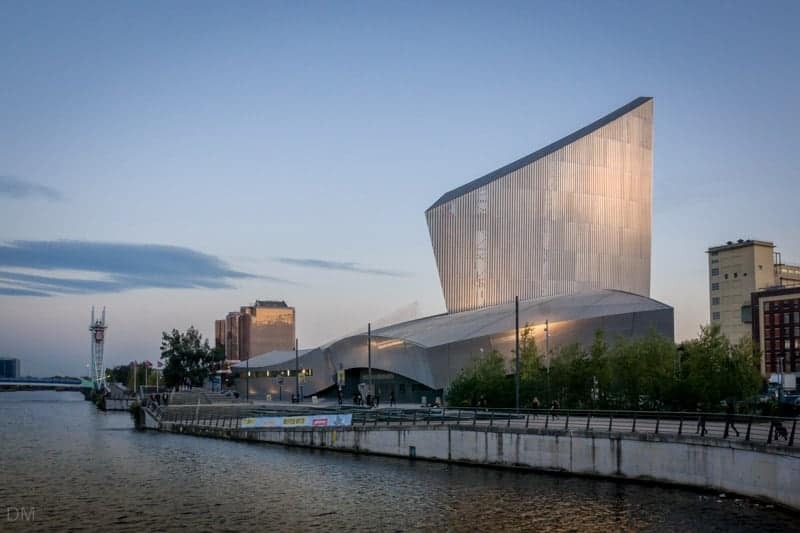 Visitors travelling to the Imperial War Museum North by car and using satellite navigation systems can use the postcode M17 1TZ. There’s a car park right next to the entrance (fees apply). Alternatively park at the Lowry Outlet Mall multi-storey car park (free parking with purchase). Map showing location of Imperial War Museum North. In this time of high priced admissions, we have just spent an amazing day at the Museum. Real family entertainment and knowledge gaining. Thank you. This is a museum worth attending. We really enjoyed visiting this Museum. There’s loads to see – the kids were really impressed with the tanks and the Harrier. They have daily activities on too and a film and sound show which is really impressive. The best thing about this place is that it’s free! A great day out for the kids. They even have a picnic room so you can take your own food. The hourly show is very well done. This is a great place to spend a rainy afteroon in Manchester. Massive development in Salford with theatre, shopping mall, cinema, museum, apartments, and more. Discount shopping centre at Salford Quays.